Doss Business Systems provides cutting-edge technology through HIK Vision for high-definition IP cameras, digital video servers, hybrid and standalone DVRs, NVRs, speed domes, encoders, and decoders and more. HIK Vision is fortified by one of the largest R&D teams in the video surveillance industry, the innovation behind these products quickly made HIK Vision the #1 CCTV and video surveillance equipment provider in the world (2015 IHS Report). 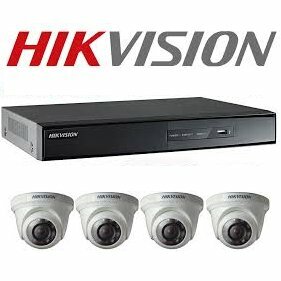 A total solution provider, HIK Vision manufactures a full suite of video surveillance products and solutions for a broad range of vertical markets, including retail, education, and many others allowing Doss to provide a user-friendly, highly scalable product to meet those needs of its clients. HIK Vision’s remarkable accomplishments in North America speak to more than just top-tier products. HIK Vision firmly believes that a company’s success depends on superior customer support, like its partnership with Doss Business Systems. From inside sales to engineering support, from customer service to technical support, HIK Vision and Doss go the extra mile to provide customers with all of the elements they need for a first-class security system.